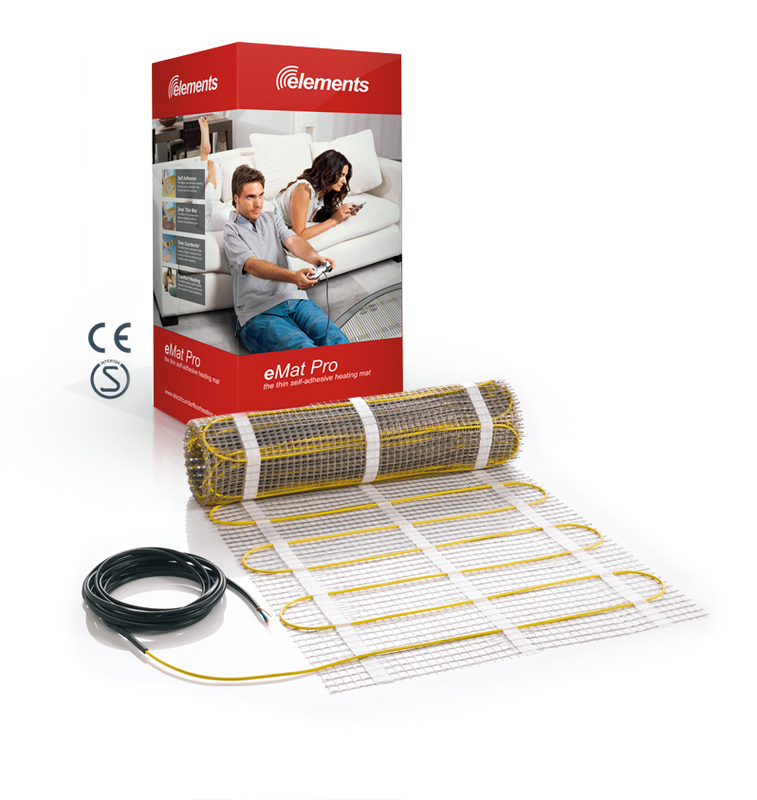 Introducing elements underfloor heating a new range to compliment our existing Devi underfloor heating range. Full Heating Pack for 6 sqm area. Includes Devi 550 thermostat timer. Full Heating Pack for 7 sqm area. Includes Devi 550 thermostat timer. Full Heating Pack for 8-9 sqm area. Includes Devi 550 thermostat timer. Full Heating Pack for 10-11 sqm area. Includes Devi 550 thermostat timer. Full Heating Pack for 12-13 396sqm area. Includes Devi 550 thermostat timer. Full Heating Pack for 14-16 sqm area. Includes Devi 550 thermostat timer. Full Heating Pack for 17-19 sqm area. Includes Devi 550 thermostat timer. Full Heating Pack for 20-23 sqm area. Includes Devi 550 thermostat timer. Full Heating Pack for 24-26 sqm area. Includes Devi 550 thermostat timer. Full Heating Pack for 27-29 sqm area. Includes Devi 550 thermostat timer. Full Heating Pack for 30-32 sqm area. Includes Devi 550 thermostat timer. Full Heating Pack for 33-35 sqm area. Includes Devi 550 thermostat timer. Full Heating Pack for 36-37 sqm area. Includes Devi 550 thermostat timer. Full Heating Pack for 38-43 sqm area. Includes Devi 550 thermostat timer. Full Heating Pack for 44-46 sqm area. Includes Devi 550 thermostat timer. Full Heating Pack for 47-50 sqm area. Includes Devi 550 thermostat timer.